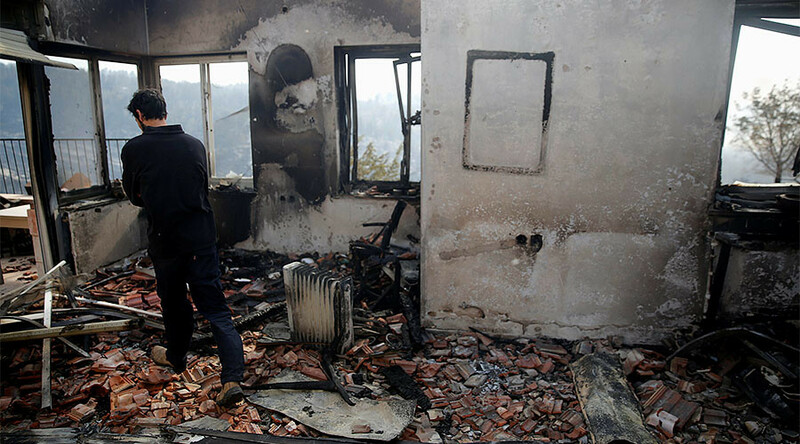 It turns out the devastation from the recent wildfires that forced 80,000 Israelis to flee their homes wasn’t enough – now they’re being told by a chief rabbi that spouses whose marriage contract suffered damage can’t live under the same roof. The ruling was outlined in a statement which stipulates that no cohabitation between the married couple can take place until a new contract – or ketubah – has been drawn up. Mordechai Abramovsky, chief rabbi of Zichron Yaakov, also holds dominion over marriage licenses in Haifa. According to Jewish law, only a marriage certificate permits a couple to live under one roof – a rule that dates back to the Talmudic era, and was put in place to protect women’s rights in marriage. Failure to possess one was equated with being in an extramarital relationship. 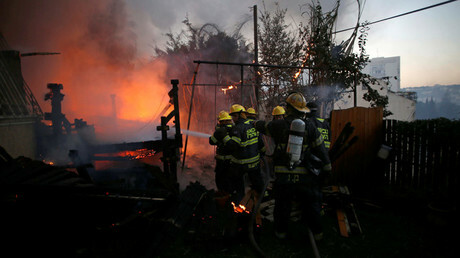 But other national chief rabbis quickly moved to contradict Abramovsky, according to the Jerusalem Post, stating that a couple who suffered the loss of their home in the blaze should indeed get a new certificate, but not at the cost of having to live apart. The reaction to Abramovsky’s words comes shortly after an interview he gave to Kikar Shabbat – an ultra-orthodox website. In the interview he drew a distinction between Sephardi Jews and Ashkenazi Jews, stating that the former could go without a license, as per the ruling of the late Rabbi Ovadia Yosef. The same, however, could not apply to Ashkenazi couples if they wanted to live together. The matter was quickly cleared up by two other chief rabbis, who said the burned ketubah was not a problem, as local rabbinates keep copies of those in their jurisdictions. They did add, however, that a new original should be obtained as soon as possible. Blame has been directed everywhere – from God’s punishment through to Palestinian arsonists – as the Israelis found themselves battling wildfires exacerbated by extreme winds that blew the raging blaze across Israel for several days now unabated. Tens of thousands suffered property and livelihood destruction, and more than 20 people have been arrested so far on suspicion of setting off the wildfire. There were reports of young Arabs celebrating Israel being ‘punished,’ but amid all that, some 40 Palestinian firefighters and eight trucks were dispatched to help contain the blaze. This ground-based cooperation earned them high praise from Israeli Prime Minister Benjamin Netanyahu, who personally called Palestine’s Mahmoud Abbas to offer gratitude.